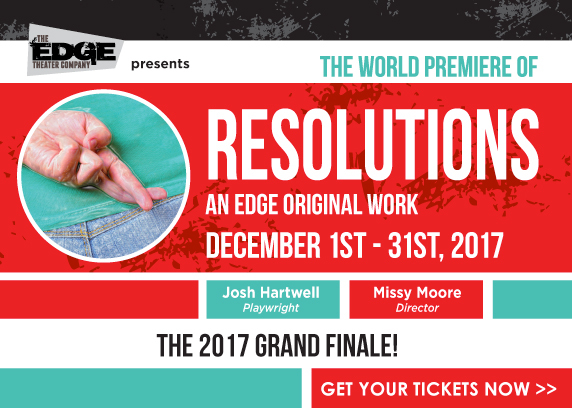 RESOLUTIONS – Written by Josh Hartwell; Directed by Missy Moore. Presented by the Edge Theater Company (1560 Teller, Lakewood) through December 31, 2017. 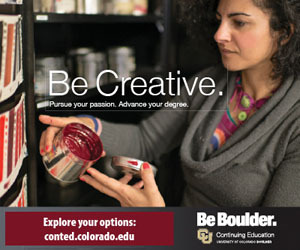 Tickets available at 303-232-0363 or www.theedgetheater.com. The evening starts off casually enough. 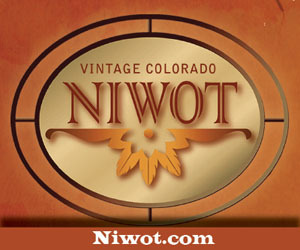 Two old friends have arrived for an annual gathering at her beautiful condo in Vail. Fulfilling a long held holiday tradition, three couples gather each year in the same place to review their year and decide how well they did on fulfilling their resolutions from the year past. Dellen (the always perfect Emily Paton Davies), however, has gone through a divorce from her husband. Since they had started a theatre company together, that was no longer in their lives as well. Greg (Scott McLean) and his partner have split as well. So two of the old faces are missing. Mindy (the crazy Karen Slack) and Peter (the equally crazy Andrew Uhlenhopp) arrive to complete the party. They are actors who have given up the biz to become dispensary owners, now in financial difficulties. There is obvious affection and history as the stories and personalities come out. Because they have all been theatre people at one time or another, there are a lot of theatre references in props found around the house and speeches delivered from familiar shows. But the night takes a sinister turn with the unexpected and unwelcome arrival of Dellen’s ex-husband, Randall, brandishing a cross bow and a tool belt full of weapons dangling from his waist. He explains the lateness of Dellen’s new boyfriend Trevor (Drew Hirschboeck) by dragging him into the scene bound to a rolling office chair. Randall has gone to the dark side and is full of the need for revenge and unveiling the deceptions they have all kept from each other. A terrifying game of Truth or Die begins. I want to move into this beautiful condo designed by Brandon Case and built by Jeff Jesmer. Well, maybe not this exact one – bad karma – but one like it. Props Manager Andrew Bakehouse provided the perfect dressing, down to the Moose-themed pillows and the touches of Christmas décor. The lights played an important part setting the moods – both light and dark – of the show, thanks to the design by Kevin Taylor. The storm brewing outside and the placid voice of “Nancy,” their version of Siri announcing the music to be played, all designed by Kenny Storms, added to the fun. If I were you, I’d stick to your resolution to lose weight. Plays through New Years Eve.